Interviewing Phil Ideson was quite exciting for me because Phil was actually somewhat of an inspiration for me and part of the reason I started the Negotiations Ninja Podcast. If you’re ever trying to find out information about procurement and what the trends are, where everyone’s going, where technology is moving, latest processes and procedures, he is the guy that is going to get you that information on his Art of Procurement podcast. We’re both procurement guys and both have podcasts and if that wasn’t similar enough, when we got to talking, we realized that the similarities in our backgrounds is actually quite startling. It feels like we’ve known each other for a long time. 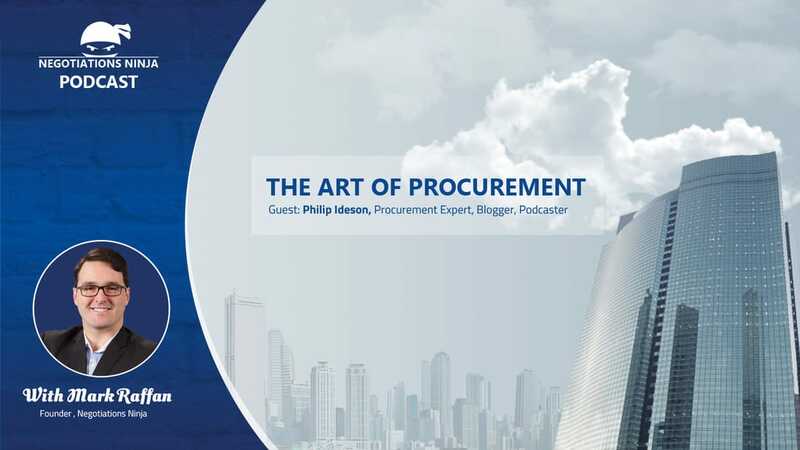 On this show, Phil and I wax poetic on procurement negotiations and some of the challenges that procurement people face in negotiations and we dive into the major trends that each of us see in procurement negotiations and what is coming for procurement in the future. We collaborated and recorded for his show at the same time, so check that show out in the show notes!